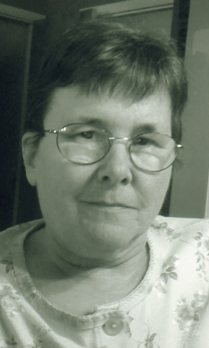 Barbara L. Gangwer, 68, of Fremont, OH passed away on Friday, July 21, 2017 at her home. She was born on August 24, 1948 in Fremont to Charles and Betty (Lewis) Carmean. She was a 1966 graduate of Fremont Ross High School. Barbara married Rodger L. Gangwer on January 13, 1978 in Monroe, MI and he preceded her in death on November 3, 1993. She was an Administrative Manager at Saddleman, Inc. for twenty years and retired in 2000. Barbara enjoyed baking and spending time with her grandchildren. Barbara is survived by her daughter, Jennifer Calvillo and son, Erik Gangwer both of Fremont, OH; sister Kathy (Jim) Boyer of AR; grandchildren, Rodger, Caleb, Emmah Calvillo and Jacoby Gangwer. She was preceded in death by her parents; sister, Judy Decker. Visitation will be Tuesday, July 25, 2017, from 5:00 to 7:00 pm at Wonderly Horvath Hanes Funeral Home and Crematory, 425 E. State St, Fremont, OH. I was so sorry to hear of your Mom’s passing. She was a great friend and wonderful person. She put up a heck of a fight for a long time. She always had a smile on her face and a kind word for everyone. She will be missed not only by her family but, all her friends too. When someone you love becomes a memory. That memory becomes a priceless treasure. My sister Cathy and Barb developed a strong friendship while they were in school. I was much younger than them, but have vivid memories of the fun they had. She also passed away this year after a lengthy illness. Whenever I would run into Barb, we would always reminence about their younger days and she would want to know how Cathy was doing. What I didn’t know was one of my wonderful students this year is her grand daughter! I had the privilege to have had sweet Emmah in class this past school year. I’m sure Barb was very proud of her. Pleasek know your family is in my thoughts and prayers! Deepest sympathy to you and your families. You all are in my thoughts and prayers during these difficult days. Deepest sympathy and prayers at this difficult time.